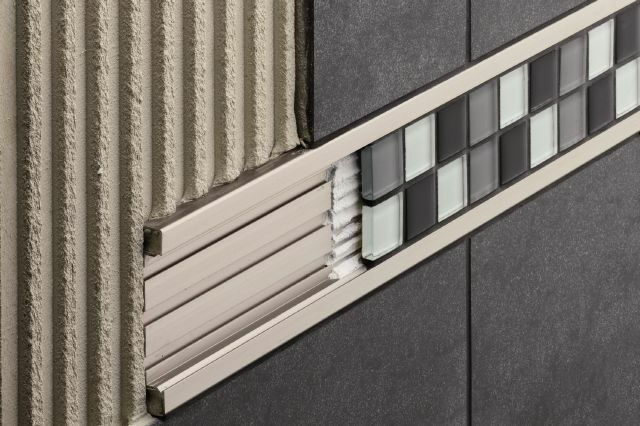 QUADEC-FS, in a brushed nickel finish of anodized aluminum, features a double rail and a recessed section for the effortless bonding of accent tile. 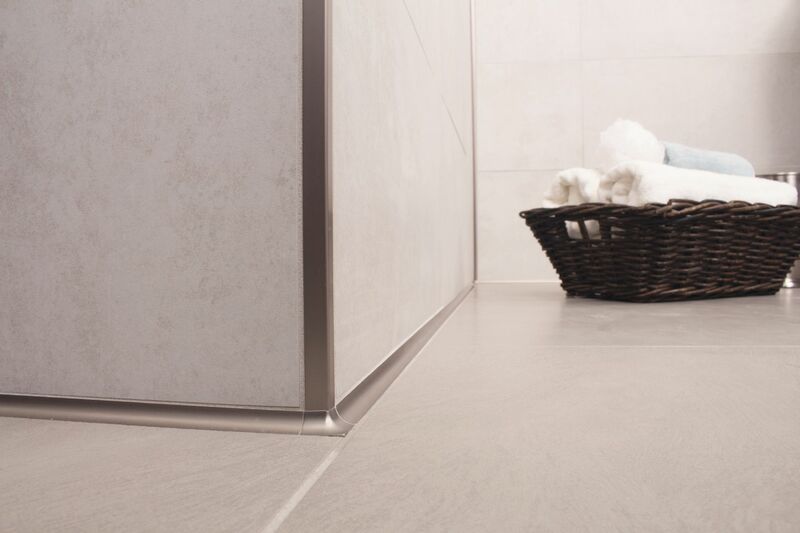 DITRA provides waterproofing and uncoupling below the floor tile. DILEX-AHK in brushed nickel anodized aluminum provides an attractive, clean, and maintenance-free alternative for inside wall corners. 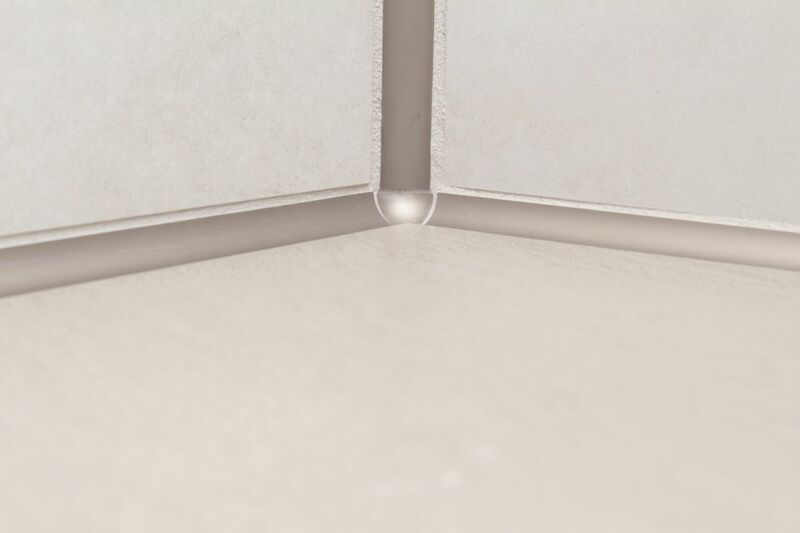 QUADEC-FS is a double-rail feature strip profile with a recessed section for bonding accent tile. 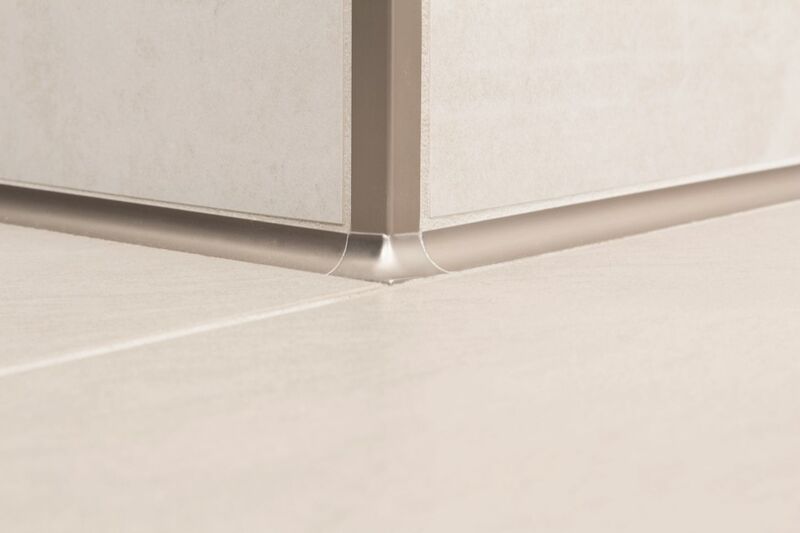 QUADEC features a crisp, squared edge for finishing exposed tile edges and outside corners. 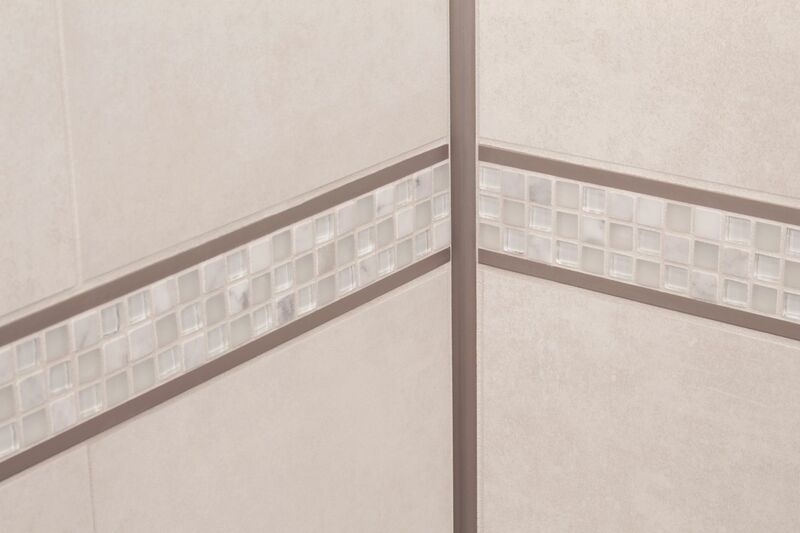 The QUADEC wall profile for outside corners and DILEX-AHK cove-shaped profile are both in brushed nickel anodized aluminum. 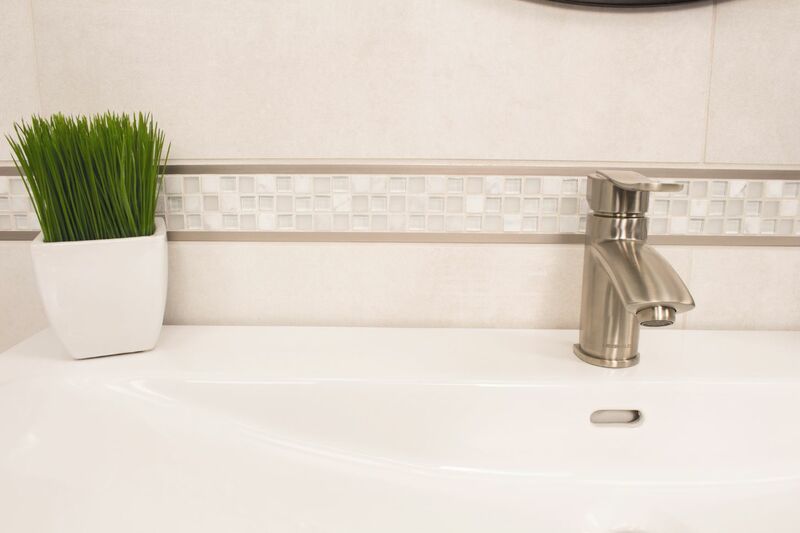 QUADEC, QUADEC-FS, and DILEX-AHK, all in brushed nickel anodized aluminum, add simple clean lines to this fresh-looking bathroom. 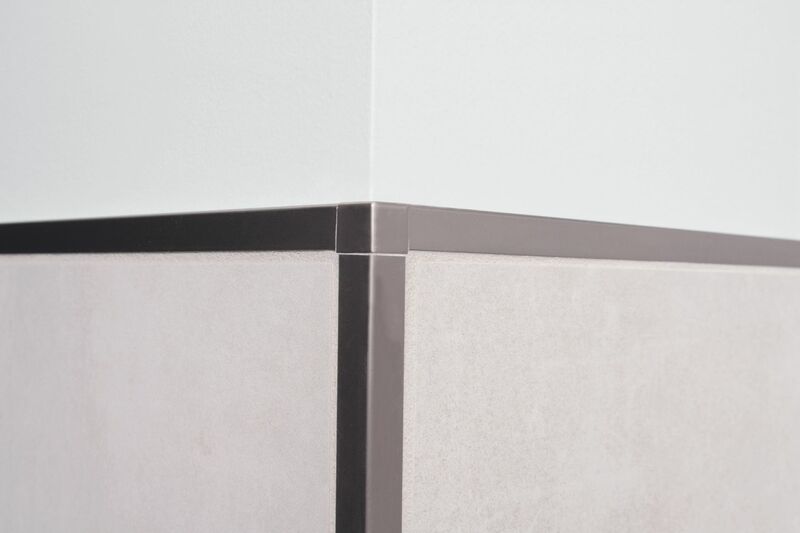 QUADEC in brushed nickel anodized aluminum seams the outside wall corners while DILEX-AHK, also in brushed nickel, provides a nice cove-shape transition between the floor and wall. 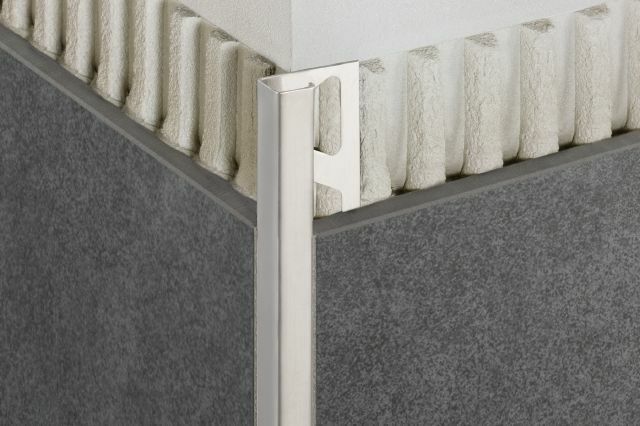 Used in inside corners, DILEX-AHK in brushed nickel anodized aluminum eliminates the need for unsightly caulking.